Introducing the Rabbit Fur Rattle Ball Cat Toy! Cats and Kittens loves these rabbit fur balls. Brings out the natural hunting instincts in your feline. Cats will actually gently carry the ball in their mouth, perfect toy for teaching your cat to play fetch. My cat actually flings the ball in the air and chases it. Cats go crazy for this toy since it can roll like a ball. How can you beat a toy that is real rabbit fur, a ball and makes sound! Cats love it! 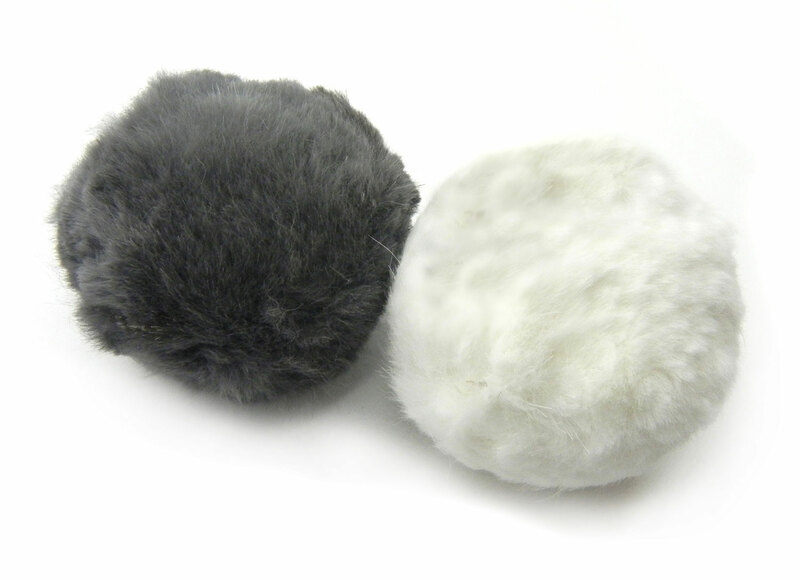 These fun rolling cat toys are made of 100% Rabbit Fur in gray and white color and measure about 2 inches in diameter. There is a RATTLE inside which cats love when they hear it rolling across the floor.